As of November 24, the CWHC Ontario/Nunavut Region has tested 70 birds for the presence of West Nile Virus (WNV) in 2017. All corvids submitted to the CWHC, as well as any other birds with lesions consistent with WNV, were tested. Of the 70 birds tested, 41 were confirmed positive for the virus by real-time RT-PCR (Figure 1, Table 1, Table 2). With corvid species accounting for only 23 of the 41 birds which tested positive for West Nile virus, a widening range of additional species have also tested positive in 2017. The earliest detection in 2017 included three American Crows found dead in Campbellville, Ontario on June 21, 2017. 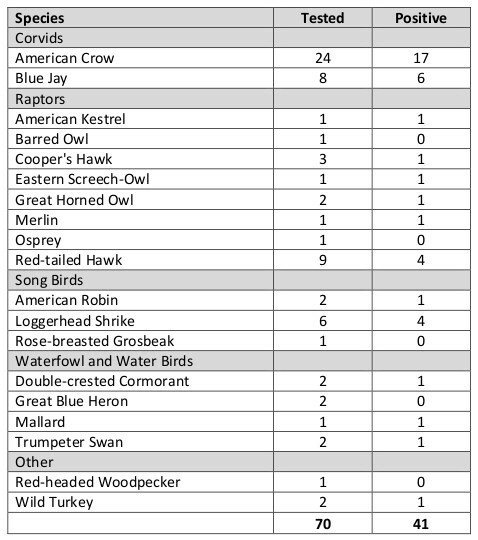 Since then, the CWHC has confirmed West Nile virus in unlikely species including a Double-crested Cormorant, a Trumpeter Swan, and a Wild Turkey (Table 1). 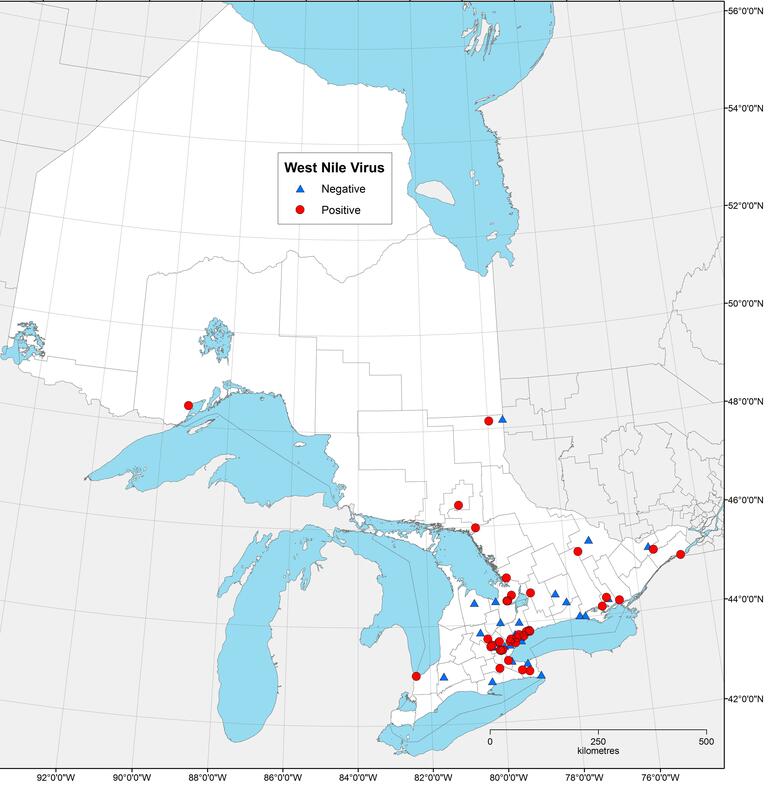 Figure 1: Location of birds tested for West Nile Virus in Ontario in 2017. Red locations tested positive, blue tested negative. Table 1:Species breakdown for birds testing positive for West Nile Virus in 2017. Table 2: Species, date, and locations for dead birds tested by PCR for West Nile Virus in 2017.